Honeybee's Stamping Hive: Did someone say Cookies? 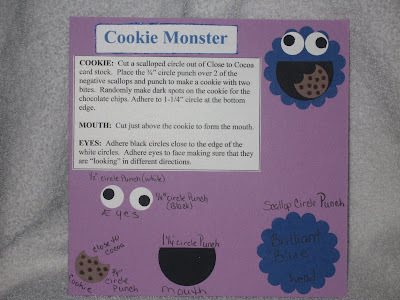 Here is the 2nd technique card using our dear Sesame Street pals. I just love this character. It reminds me of my children.....always eating up the cookies. LOL If you click on the photo it will be enlarged and you can read all the details.